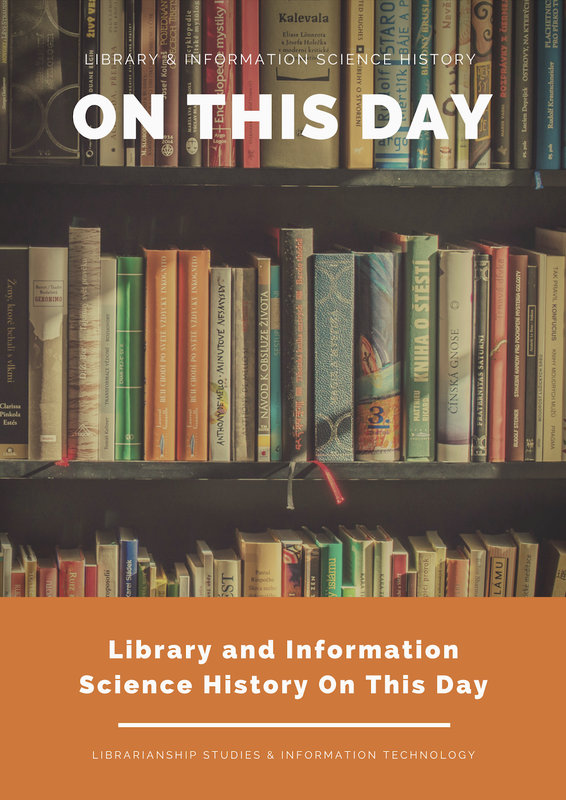 First part is "Library and Information Science History On This Day" which lists important dates, occasions, and events for libraries and librarians "by day". This is followed by a "calendar" titled "On This Day - Library History". The last part is "Library and Information Science History Timeline" which lists important events and occasion "by year grouped by century" in the history of Library and Information Science. On This Day in 1981 - Library of Congress¹ - The Library stops filing cards into its main card catalog and begins online cataloging of its collections officially on Jan. 1. On This Day in 1939 - Library of Congress - A new Library Annex Building—later designated the John Adams Building—is opened to the general public on Jan. 3. On This Day in 1802 - Library of Congress - President Thomas Jefferson approves a compromise act of Congress on Jan. 26 which states that the President of the United States will appoint the Librarian of Congress. On This Day in 1815 - Library of Congress - Library of Congress - On Jan. 26, the House of Representatives approves the purchase of Jefferson’s 6,487-volume personal library for $23,950 to replace the collection lost in the fire. On This Day in 1815 - Library of Congress - Jefferson's Library - On January 30, 1815, President James Madison approved an act of Congress appropriating $23,950 to purchase Thomas Jefferson’s library of 6,487 volumes. To know more see: On This Day - January 30 - Library of Congress - Jefferson's Library. On This Day - Library Lovers' Day - Library Lovers’ Day is celebrated on 14th February each year to honor libraries, librarians, book lovers, and lovers of libraries. On Library Lovers’ Day, we celebrate the enduring relationship between our community and the libraries. This also provides an opportunity to celebrate those who love and support libraries and to remind decision makers how loved and cherished libraries are by the entire community. Not everyone receives flowers on Valentines Day but everyone is welcome at their library. To know more see: Library Lovers Day. On This Day in 1931 - Library of Congress - The Pratt-Smoot Act, enacted on March 3, enables the Library to provide books for the use of adult blind readers of the United States and its territories. This act was the origin of the Library's National Library Services for the Blind and Physically Handicapped. On This Day in 1903 - Library of Congress - President Theodore Roosevelt issues an executive order on March 9 directing the transfer of the records of the Continental Congress and the personal papers of George Washington, Thomas Jefferson, Alexander Hamilton, James Madison, James Monroe and Benjamin Franklin from the State Department to the Library. The Library is home to the papers of 23 U.S. presidents. On This Day in 1969 - Library of Congress - Library of Congress - With the mailing of the first computer tapes containing cataloging data on March 27, the Machine-Readable Cataloging (MARC) Distribution Service is inaugurated. On This Day in 2009 - World Digital Library - Library of Congress - In Paris, Librarian James H. Billington announces on April 21 the launch of the World Digital Library, an international collaborative project developed with UNESCO and other organizations. On This Day on April 23 World Book Day is Celebrated - World Book Day⁴ or World Book and Copyright Day (also known as International Day of the Book or World Book Days) is a yearly event on April 23rd, organized by the United Nations Educational, Scientific and Cultural Organization (UNESCO), to promote reading, publishing, and copyright. In the United Kingdom, the day is recognized on the first Thursday in March⁵. World Book Day was celebrated for the first time on 23 April 1995. In some countries, World Book Day is observed on different dates. 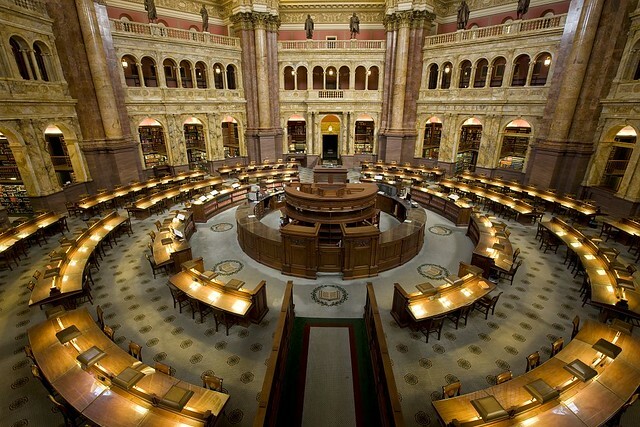 On This Day on April 24 in 1800 - Library of Congress was established. The Library of Congress was established as the fledgling legislature of the new Republic prepared to move from Philadelphia to the new capital city of Washington. On April 24, 1800, President John Adams approved legislation that appropriated $5,000 to purchase "such books as may be necessary for the use of Congress." The books, the first purchased for the Library of Congress, were ordered from London and arrived in 1801. The collection of 740 volumes and three maps was stored in the U.S. Capitol, the Library’s first home. The Library of Congress is the nation’s oldest federal cultural institution and serves as the research arm of Congress. The Library’s mission is to make its resources available and useful to the Congress and the American people, and to sustain and preserve a universal collection of knowledge and creativity for future generations. As of 2016, the vast holdings of the Library number well over 164 million items⁶. On This Day in 1980 - Library of Congress - The third major Library building on Capitol Hill, the James Madison Memorial Building, opens to the public on May 28. Later that year, the original 1897 Library building is renamed the Thomas Jefferson Building and its second building, opened in 1939, is designated the John Adams Building. On This Day in 1731 - Benjamin Franklin founds United States's first lending library in Philadelphia. Most Americans in the 1730s had limited access to books. Books, in early America, were rare and expensive. There were no public libraries. Only the very wealthy and the clergy had access to large numbers of books. Even men of moderate means could not readily afford books. Enter Benjamin Franklin. On July 1, 1731, Franklin and a group of members from the Junto, a philosophical association, drew up "Articles of Agreement" to form a library. On This Day in 1930 - Library of Congress - On July 3, $1.5 million is appropriated for the purchase of the Vollbehr collection of incunabula, which includes the first Gutenberg Bible in the Western Hemisphere. On This Day in 1870 - Library of Congress - On July 8, President Ulysses S. Grant approves an act of Congress that centralizes all U.S. copyright registration and deposit activities at the Library of Congress. Videos on the Library of Congress Packard Campus sourced from the article Library and Information Science Videos. Just click play and these videos will play one after another. Video 1: The nuclear bunker preserving movie history; video 2: Packard Campus for audio-visual conservation; video 3: Library of Congress, the Packard Campus for Audio-Visual Conservation; video 4: Digital preservation at the Packard Campus for Audio-Visual Conservation. On This Day in 1946 - Library of Congress - The Legislative Reorganization Act of 1946 is approved on Aug. 2, giving the Library’s Legislative Reference Service (LRS) permanent status as a separate Library department and providing for the hiring of nationally eminent specialists in 19 broad subject fields. The LRS was the precursor to today's Congressional Research Service at the Library. National Librarian's Day - India - August 12th is celebrated as National Librarian’s Day in India, in remembrance of national professor of library science, Dr. S. R. Ranganathan (12 August 1892 – 27 September 1972), who had spearheaded library development movement in India. On This Day in 1892 Dr. S. R. Ranganathan was born in India - Siyali Ramamrita Ranganathan (12 August 1892 – 27 September 1972) spearheaded library development movement in India. On This Day in 1853 - Library of Congress - Designed by Architect of the Capitol Thomas U. Walter, a newly remodeled fireproof iron room for the Library opens on Aug. 23 in the Capitol’s west front. It is widely admired and becomes a tourist attraction. On This Day in 1814 - Library of Congress² - In retaliation for the capture of York and the burning of its parliamentary building by American forces, the British capture Washington on Aug. 24 and burn the Capitol, destroying the Library of Congress. On This Day in 1954 - Library of Congress - Library of Congress - President Dwight D. Eisenhower approves an amendment to the Agricultural Trade Development and Assistance Act of 1954 (popularly known as Public Law 480) on Sept. 6, which greatly strengthens the overseas acquisition program of the Library of Congress. 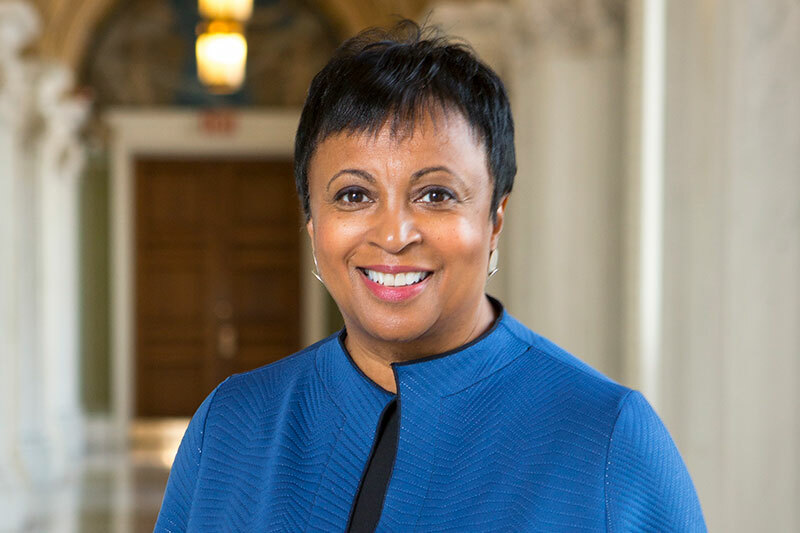 On This Day in 2016 - Library of Congress - Carla D. Hayden was sworn in as the 14th Librarian of Congress on Sept. 14. At the time of her installation, the Library’s collection of more than 162 million items includes more than 38 million cataloged books and other print materials in more than 470 languages; more than 70 million manuscripts; the largest rare book collection in North America; and the world’s largest collections of legal materials, films, maps, sheet music, and sound recordings. In the fiscal year 2016, the Library employed 3,149 staff members and operated with a total 2016 appropriation of $642.04 million, including the authorization to spend $43.13 million in receipts. On This Day in 1972, Dr. S. R. Ranganathan died - Siyali Ramamrita Ranganathan (12 August 1892 – 27 September 1972) spearheaded library development movement in India. On This Day in 1921 - Library of Congress - President Warren G. Harding issues an executive order on Sept. 29 that transfers the original copies of the Declaration of Independence and US Constitution to the Library for their safekeeping and display. The two documents are sent to their permanent home in the National Archives in 1952. On This Day in 1999 - Library of Congress - Metromedia president John W. Kluge donates $60 million to establish the John W. Kluge Center for Scholars and Prize in the Human Sciences on Oct. 5. It is the largest private monetary gift in the Library’s history. On This Day in 1901 - Library of Congress - On Oct. 28, the Library announces that its printed catalog cards are now available for sale to libraries around the world. On This Day in 1897 - Library of Congress - After years of overcrowding in the Capitol, the monumental new Library building—now known as the Thomas Jefferson Building—officially opens to the public on Nov. 1. On This Day in 1871 - Library of Congress - Librarian Ainsworth Rand Spofford informs Congress on Dec. 1 that the rapid flow of copyright deposits into the Library’s rooms in the Capitol will soon necessitate a separate Library building. 1731 - Benjamin Franklin founds United States's first lending library in Philadelphia. Most Americans in the 1730s had limited access to books. Books, in early America, were rare and expensive. There were no public libraries. Only the very wealthy and the clergy had access to large numbers of books. Even men of moderate means could not readily afford books. Enter Benjamin Franklin. On July 1, 1731, Franklin and a group of members from the Junto, a philosophical association, drew up "Articles of Agreement" to form a library. 1800 - Library of Congress - The Library of Congress was established as the fledgling legislature of the new Republic prepared to move from Philadelphia to the new capital city of Washington. On April 24, 1800, Pres. John Adams approved legislation that appropriated $5,000 to purchase "such books as may be necessary for the use of Congress." 1802 - Library of Congress - President Thomas Jefferson approves a compromise act of Congress on Jan. 26 which states that the President of the United States will appoint the Librarian of Congress. 1812 - Library of Congress - The first classified Library catalog is published. It lists 3,076 volumes, and 53 maps, charts, and plans. An adjustment in the Library’s rules exempts members of Congress from overdue fines. 1814 - Library of Congress - In retaliation for the capture of York and the burning of its parliamentary building by American forces, the British capture Washington on Aug. 24 and burn the Capitol, destroying the Library of Congress. 1815 - Library of Congress - On Jan. 26, the House of Representatives approves the purchase of Jefferson’s 6,487-volume personal library for $23,950 to replace the collection lost in the fire. 1815 - Library of Congress - Jefferson's Library - On January 30, 1815, President James Madison approved an act of Congress appropriating $23,950 to purchase Thomas Jefferson’s library of 6,487 volumes. 1851 - Library of Congress - An accidental fire in the Library on Christmas Eve destroys approximately 35,000 volumes, including nearly two-thirds of Jefferson’s library. 1853 - Library of Congress - Designed by Architect of the Capitol Thomas U. Walter, a newly remodeled fireproof iron room for the Library opens on Aug. 23 in the Capitol’s west front. It is widely admired and becomes a tourist attraction. 1870 - Library of Congress - On July 8, President Ulysses S. Grant approves an act of Congress that centralizes all U.S. copyright registration and deposit activities at the Library of Congress. 1871 - Library of Congress - Librarian Ainsworth Rand Spofford informs Congress on Dec. 1 that the rapid flow of copyright deposits into the Library’s rooms in the Capitol will soon necessitate a separate Library building. 1892 - India - Dr. S. R. Ranganathan - On 12 August 1892, Dr. S. R. Ranganathan was born in India - Siyali Ramamrita Ranganathan (12 August 1892 – 27 September 1972) spearheaded library development movement in India. 1897 - Library of Congress - After years of overcrowding in the Capitol, the monumental new Library building—now known as the Thomas Jefferson Building—officially opens to the public on Nov. 1. 1901 - Library of Congress - On Oct. 28, the Library announces that its printed catalog cards are now available for sale to libraries around the world. 1903 - Library of Congress - President Theodore Roosevelt issues an executive order on March 9 directing the transfer of the records of the Continental Congress and the personal papers of George Washington, Thomas Jefferson, Alexander Hamilton, James Madison, James Monroe and Benjamin Franklin from the State Department to the Library. The Library is home to the papers of 23 U.S. presidents. 1921 - Library of Congress - President Warren G. Harding issues an executive order on Sept. 29 that transfers the original copies of the Declaration of Independence and US Constitution to the Library for their safekeeping and display. The two documents are sent to their permanent home in the National Archives in 1952. 1930 - Library of Congress - On July 3, $1.5 million is appropriated for the purchase of the Vollbehr collection of incunabula, which includes the first Gutenberg Bible in the Western Hemisphere. 1931 - Library of Congress -The Pratt-Smoot Act, enacted on March 3, enables the Library to provide books for the use of adult blind readers of the United States and its territories. This act was the origin of the Library's National Library Services for the Blind and Physically Handicapped. 1939 - Library of Congress - A new Library Annex Building—later designated the John Adams Building—is opened to the general public on Jan. 3. 1944 - Library of Congress - The ballet "Appalachian Spring," commissioned by the Library, premiers in the Coolidge Auditorium on Oct. 30, with a performance by the Martha Graham Dance Company to the music of Aaron Copland. 1946 - Library of Congress - The Legislative Reorganization Act of 1946 is approved on Aug. 2, giving the Library’s Legislative Reference Service (LRS) permanent status as a separate Library department and providing for the hiring of nationally eminent specialists in 19 broad subject fields. The LRS was the precursor to today's Congressional Research Service at the Library. 1950 - Library of Congress - The Library celebrates its sesquicentennial on April 24. 1954 - Library of Congress - The Library receives the Brady-Handy photographic collection on Sept. 13, containing more than 3,000 negatives made by Civil War photographer Mathew B. Brady and several thousand by his nephew Levin C. Handy. 1958 - Library of Congress - President Dwight D. Eisenhower approves an amendment to the Agricultural Trade Development and Assistance Act of 1954 (popularly known as Public Law 480) on Sept. 6, which greatly strengthens the overseas acquisition program of the Library of Congress. 1966 - Library of Congress - The Library opens its first National Program for Acquisitions and Cataloging (NPAC) office in London in June. The first regional office opens in October in Rio de Janeiro. 1969 - Library of Congress - With the mailing of the first computer tapes containing cataloging data on March 27, the Machine-Readable Cataloging (MARC) Distribution Service is inaugurated. 1972 - India - Dr. S. R. Ranganathan - On 27 September 1972, Dr. S. R. Ranganathan died. Siyali Ramamrita Ranganathan (12 August 1892 – 27 September 1972) spearheaded library development movement in India. 1980 - Library of Congress - The third major Library building on Capitol Hill, the James Madison Memorial Building, opens to the public on May 28. Later that year, the original 1897 Library building is renamed the Thomas Jefferson Building and its second building, opened in 1939, is designated the John Adams Building. 1981 - Library of Congress - The Library stops filing cards into its main card catalog, and begins online cataloging of its collections officially on Jan. 1. 1991 - COMPASS (Computer Aided Subject System) - BNB (British National Bibliography) - Computer Aided Subject System (COMPASS) was introduced for BNB in 1991 and PRECIS was dropped. 1994 - Library of Congress - At the dawn of the Internet era, the Library launches its website at www.loc.gov along with its National Digital Library program aimed at digitizing primary sources related to the study of American history. 1995 - Library of Congress Subject Headings (LCSH) - COMPASS (Computer Aided Subject System) - BNB (British National Bibliography) - Computer Aided Subject System (COMPASS) was replaced by Library of Congress Subject Headings (LCSH) in 1995. With the introduction of a COMPASS, BNB stopped including LCSH headings until protests from the users finally led to their reintroduction in 1995. With the substitution of LCSH for COMPASS in 1995, the classified arrangement has no index at all. As a result, BNB no longer shows any direct translation of the notations. 1999 - Library of Congress - Metromedia president John W. Kluge donates $60 million to establish the John W. Kluge Center for Scholars and Prize in the Human Sciences on Oct. 5. It is the largest private monetary gift in the Library’s history. 2000 - Library of Congress - The Library celebrates its bicentennial during the year, culminating in the actual anniversary date on April 24. 2001 - Library of Congress - The first National Book Festival, developed in cooperation with First Lady Laura Bush, takes place on Sept. 8. 2007 - Library of Congress - The new Packard Campus for Audio-Visual Conservation located on a 45-acre site in Culpeper, Virginia, is transferred to the Library by the Packard Humanities Institute on July 26. 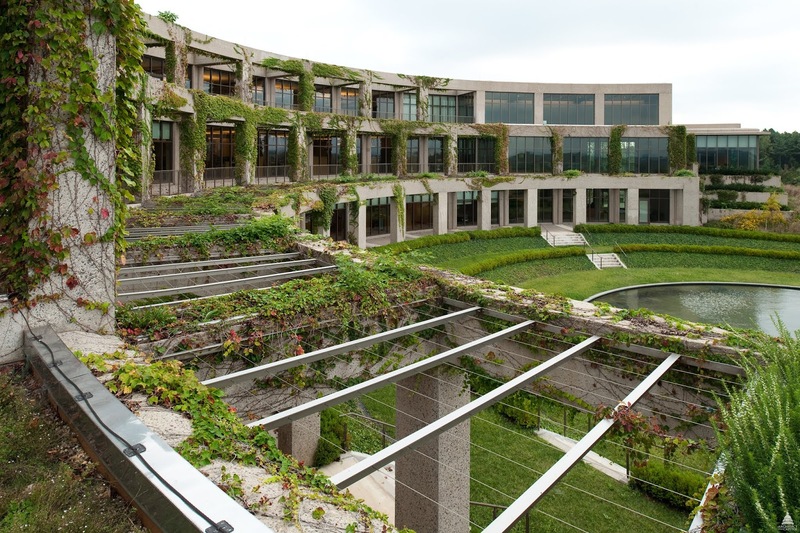 The Institute provided $155 million for the design and construction of the four-building facility, the largest private gift ever made to the Library. 2009 - Library of Congress - In Paris, Librarian James H. Billington announces on April 21 the launch of the World Digital Library, an international collaborative project developed with UNESCO and other organizations. 2012 - Library of Congress - BIBFRAME - In 2012, the Library of Congress announced that it had contracted with Zepheira, a data management company, to develop a linked data alternative to MARC. Later that year, the library announced a new model called MARC Resources (MARCR). That November, the library released a more complete draft of the model, renamed BIBFRAME. 2016 - Library of Congress - Carla D. Hayden is sworn in as the 14th Librarian of Congress on Sept. 14. At the time of her installation, the Library’s collection of more than 162 million items includes more than 38 million cataloged books and other print materials in more than 470 languages; more than 70 million manuscripts; the largest rare book collection in North America; and the world’s largest collections of legal materials, films, maps, sheet music, and sound recordings. In fiscal year 2016, the Library employed 3,149 staff members and operated with a total 2016 appropriation of $642.04 million, including the authorization to spend $43.13 million in receipts. 2016 - Library of Congress - BIBFRAME - The Library of Congress released version 2.0 of BIBFRAME in 2016. 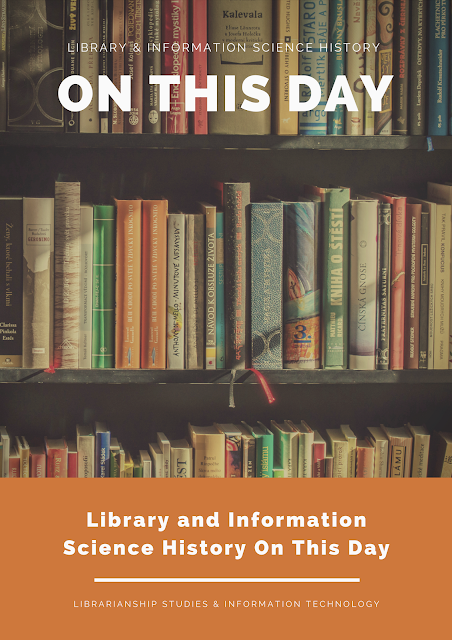 This article Library and Information Science History On This Day is widely discussed, appreciated, cited, referred, and hyperlinked. Some places where it is discussed and referred are given below. Ravindra N. Sharma, Dean of Library (Retired), India [April 2018] -- Excellent summary of events in the history of the library and information science. 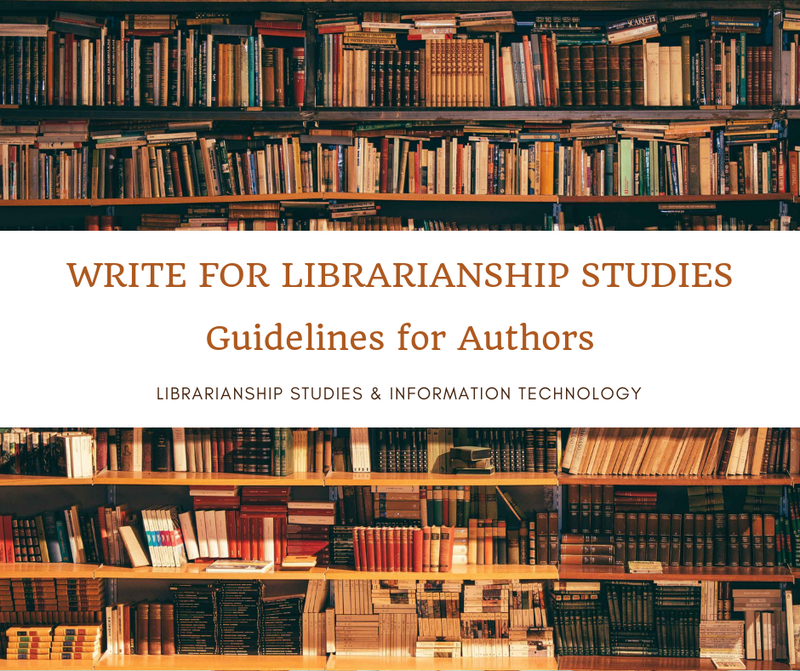 Will be very helpful to all librarians and information science professionals interested in learning more about the profession and the Library of Congress.